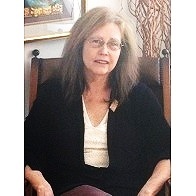 Our Mission of SentenceShaper - Psycholinguistic Technologies, Inc.
Psycholinguistic Technologies, Inc., was founded in 2001 by Marcia Linebarger, PhD (click here for CV), a linguist with a background in the study of language disorders and computer processing of spoken language. The mission of the company is to develop and commercialize software for individuals with aphasia and other language disorders utilizing our expertise, and the expertise of our academic partners, in two areas: Psycholinguistics (the study of language processing in both normal and neurologically impaired speakers); and technology, especially software related to natural language processing (computer technologies for the processing of human language). We also do business under the name “SentenceShaper Software.” Please keep an eye out for both names when visiting our exhibit booth at ASHA and other conventions. Many people have contributed to the development of the software and the research about it. SentenceShaper® is a legal trademark of Psycholinguistic Technologies, Inc.